Hermle Fisher Scientific Marathon 22K Laboratory Benchtop Centrifuge w/ Rotor . New Life Scientific, Inc. 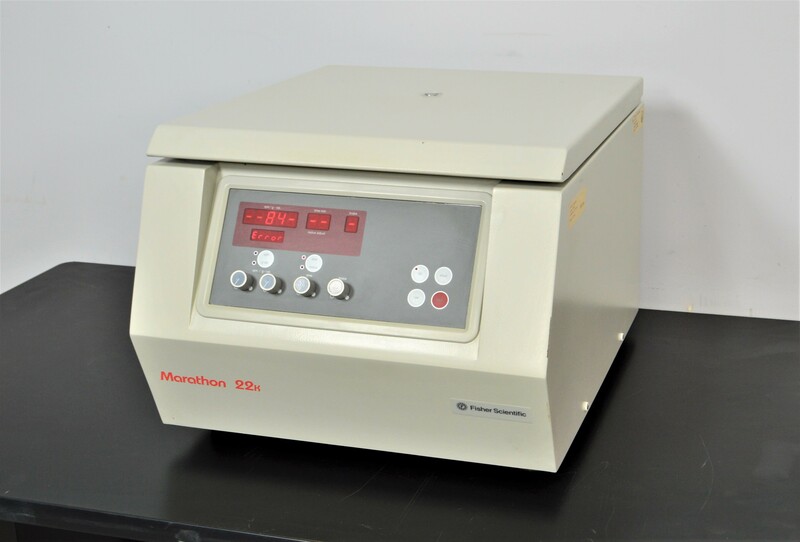 This Marathon 22K centrifuge is in excellent cosmetic condition with minor wear and age. An error occurs when closing the lid, but this is otherwise a great centrifuge. It also includes a stainless steel four-place swinging bucket rotor with four buckets. The strong, durable construction of this centrifuge has lasted for over two decades, making it an extremely cost-effective laboratory instrument. Our in-house technician visually inspected and initialized the Marathon 22K centrifuge, revealing an error when closing the lid. The centrifuge is otherwise in excellent condition.